We had great nights in both our middle school and high school ministries this week. We had great attendance at both and there was good energy in the room both nights. Below are the details of what we did this week. Group Game: The Purge. We did this game a few weeks back with our middle school students and figured we would give it a try with the high school students. It went pretty well. The game is simple but crazy. You give every student a blown up balloon and the goal of the game is to be the last one standing with your balloon. You want to try and pop other peoples balloons. There are no rules except you cannot physical hurt someone else. We put a 15 minute countdown on the screen and threw a box of “supplies” out in the middle of the room. The box had plastic straws, balls, bandanas, duct tape, rope, and a few other random things. When your balloon gets popped you “die” and are out. Click here to watch a video of a youth group playing this game. Also, click here to get the graphic we used for this game. Worship Set List: The Ascension (Phil Wickham), Hail the King (Citizens & Saints), Oceans [Where Feet May Fail] (Hillsong United), and Great I Am (New Life Worship). 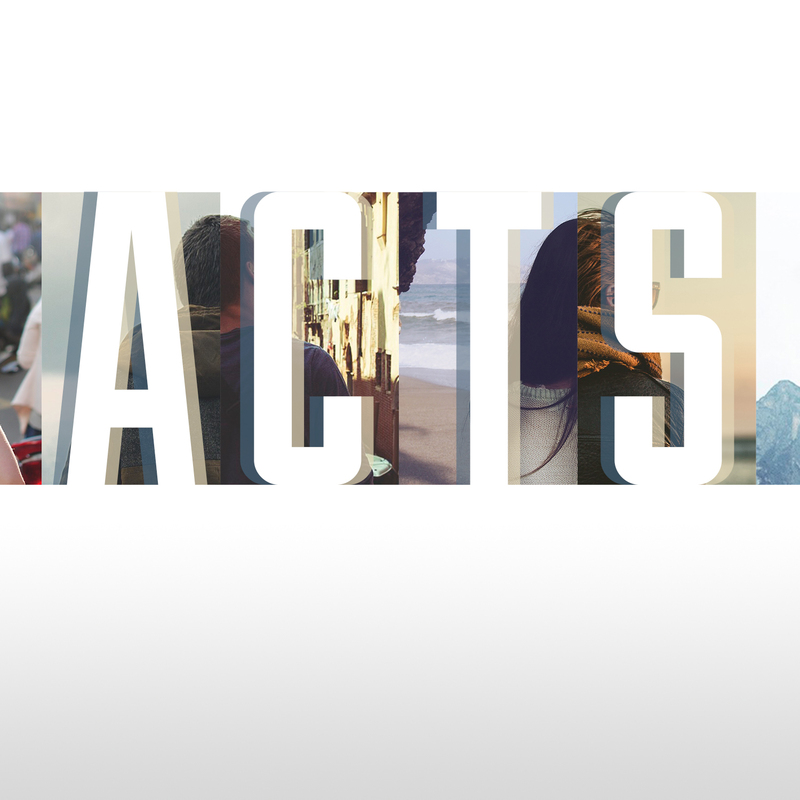 Teaching: We continued our series through the book of Acts by talking about how the early Christians prayed and practiced radical generosity. The talk came straight from Acts 4:23-37. Highlight: Each week I create postcard sized handouts to give students that have blanks to fill in for the talk. Most students use them and fill in the blanks as well as take notes, but the majority of them probably don’t do much with them after the night is over. I assume that because usually most of them are left on the floor or in the trash cans. However, this week I found out one of our students who just came to faith in Christ has been taking them home and putting them above his bed to help him remember what we have been learning. Makes doing these cards worth it! Video: Good Llama Bad Llama. This is a funny video from Download Youth Ministry. It’s a video that is only available to members right now. This is just another reason to get a membership with DYM. The membership is worth it. The video really doesn’t have a point other than to make students laugh. It basically says something a “good lama” does and then says something a “bad lama” does. We used it as an opener right when the countdown ended. Upfront Game: Emoji Hunt. This is another sweet game from DYM that’s only available to members right now. It’s a game that runs as an app on your computer. Basically a slot machine type looking thing is on the screen and when you are ready it spins and will stop with three different emoji’s on the screen. You also have a phone number of your choice on the screen and the student that texts those emoji’s to that number in the order they are on the screen wins. This game was a hit with our students! Once DYM puts this game on their website for anyone to buy make sure you grab it and use it. Group Game: Scatterball. We play this game at least once a month with our middle school students. They love it! It’s basically dodgeball but with only one ball (we usually throw in a few more as the game goes on). You can only take up to three steps with a ball as well. If you get hit you’re out and if you catch the ball the person that threw it is out. Play until there is one person left standing. Click here to download the graphic we use for this game. Teaching: This week we had small groups and in their groups students continued our Acts series by talking about how the early Christians prayed and practiced radical generosity. They read and discussed this from Acts 4:23-37. Highlight: We picked up a new leader this week as well has had one potential leader come to check it out. As our middle school ministry grows we are in need of more leaders so it was great to see God provide in this area.